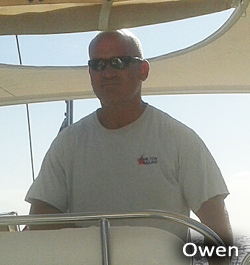 We are a small company of experienced and highly competent sailing and boating enthusiasts. We started off teaching theory courses in London, and acquired a reputation for delivering knowledge in an accessible and (fairly!) painless way. Encouraged by our clients, and bolstered largely by word-of-mouth recommendations, we have diversified into practical sailing instruction. We have a small nucleus of hand-picked instructors. They’re all patient, considerate boating teachers, with long experience of imparting knowledge in a friendly, relaxed manner. We know that if you have fun learning, then we’ll all have fun! We want you to be safe and comfortable. That’s why we choose the best equipment for the job. We ensure that we’re using the right vessel, and that our equipment, such as weatherproof clothing and life jackets, is the best we can get. We know the bottom line matters. We’re good value: check out our prices against the others. We’ll be surprised if you can find the same quality of kit and instruction for less than we ask. 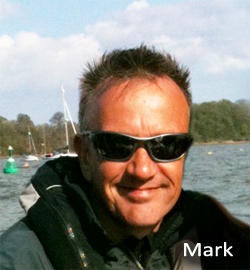 Mark Hamilton is the Principal and RYA Yachtmaster examiner, Owen Timm is the Chief Instructor . They have over twenty-five years sailing experience they are commercially endorsed RYA Yachtmaster Instructors. They both teach all aspects of sailing in a relaxed informal style. We continue to teach shore-based courses in London and run practical sailing courses from Neptune Marina, Ipswich, Suffolk. Just 1 hour from London.